The release of the 2016 Defence White Paper marked the beginning of ongoing and significant investment in the defence industry by the federal government. Unsurprisingly, the states and territories have been working hard to secure as much of this investment as they can, with Victoria being no exception. 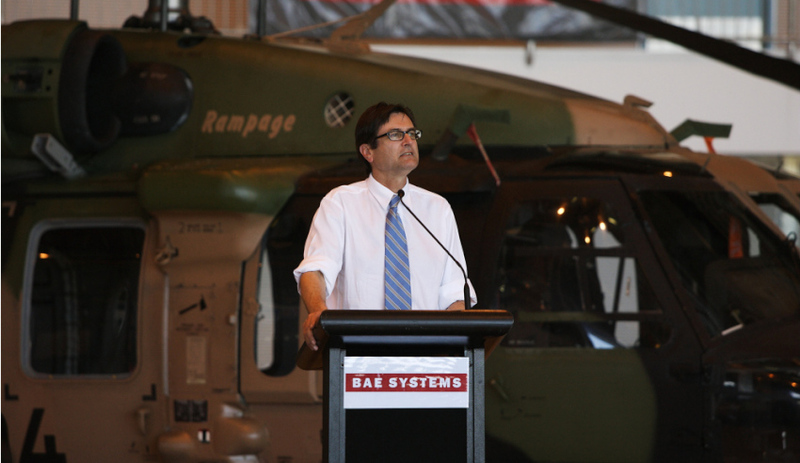 We spoke with the state’s defence industry advocate Greg Combet about how the state will go about achieving maximum investment. With nearly $200 billion set to be invested over the next decade, having a former federal politician, and a former parliamentary secretary for defence procurement at that, to argue the case for Victoria’s capabilities and potential is certainly favourable and presumably successful, given Combet was reappointed to the role in April this year. Since starting in the role over a year ago, Combet said utilising the state's strong defence industry history has been an important aspect of the job. "When I started ... it was to just reconfigure and refocus the state government's work in relation to the defence industry," Combet said. "It had long had a presence, and of course, the manufacturing sector in Victoria is the largest in all of the states and it's always had an important role in the defence industry. For example, the manufacture of the Bushmaster at Bendigo by Thales and the Williamstown Naval Dockyard, and so on. Big SME sector." The former trade unionist and former chairman of South Australia's Automotive Transformation Taskforce said refocusing the state's defence industry will go hand in hand in dealing with the aftermath of the auto sectors closure. "I think the Andrew's government in Victoria, of course, is profoundly affected by the closure of the auto sector, with Toyota and Ford and General Motors engine plant in Fisherman's Bend all to close, with big impact flow and impact to the auto supply chain," said Combet. "And so that was the context for asking me to come and work with the state government and to start to think about how we could try and build up the presence in defence. That's been a key focus." As a former federal politician, strategising and campaigning would be second nature to Combet, who said the past year has also focused on delivering a branding campaign to key decision-makers in Canberra. "The last year's been about strategy and branding. We've got a branding campaign for Victoria that's quite visible around Canberra, where the decisions are made in the defence industry," Combet said. And equally, if not more so, important is the focus on the state's SME community and getting them involved in major projects. "Regathering with the SME community in Victoria as well to focus efforts on what major projects really are going to be the most benefit and to concentrate our effort in Canberra and with the Defence Department on those major projects, and LAND 400's obviously a big one," said Combet. "That's essentially my role in Victoria, to look at all of these things and think strategically about the best way to utilise the capabilities in Victoria, the resources the state government might have for the economic development of Victoria and jobs growth. And to be able to achieve that, I think you do need to have experience of government at the federal level, experience of how defence operates, how defence contracting works, knowledge of the SME community in the defence industry, knowledge of the defence primes, contacts with the CEOs. The trade union movement is important in that regard. Economic policy. "Fortunately, in my background ... I started out as an engineer, actually, in the coal mining industry, but I spent a lot of time ... as a trade union official. I interfaced with the manufacturing sector a lot in my trade union work. I've restructured companies, addressed airlines that have collapsed in the form of Ansett. I've got a lot of knowledge of how government works out of all my experience, so I hope to be able to bring that to bear to get a good outcome for the country, working with others and also in representing Victoria for the Victorian economy." Victoria is one of the two likely build sites for the $14-20 billion LAND 400 project. The Victorian government also recently created a new program to help Victorian defence supply chain businesses secure contracts. To hear more from Greg Combet, listen to our podcast here.